I’m definitely a shoe person. Some people are handbag people, but I definitely fall into the shoe person category - I have way more shoes than bags. So imagine my delight at meeting The Shoe Consultant, Susannah Davda, in person. We chatted a lot about shoes and lots of other things. I asked her to answer a few questions, but as I know we’ll be meeting again soon (and possibly doing some shoe shopping together), I’d love to know if you have any more questions for her! Let me know in the comments. 1. If you could only own one pair of shoes (money no object), what would they be? I'd love a pair of Caroline Groves' bespoke boots. Alternatively, I'd commission my incredibly talented shoe designer friend Fay Stevenson to design something especially for me. I'd probably have them made in a wonderful factory called Artemisa, which is based on the beautiful Italian island of Ischia. I'd definitely travel there to watch them being made, and eat some delicious Ischian food. 2. 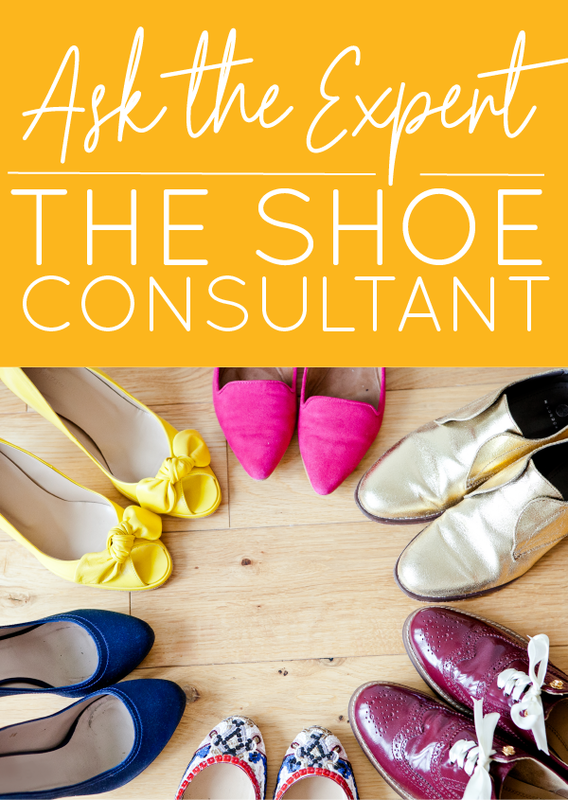 What do you look for when looking for a pair of shoes? Comfort and a great fit are my top priorities. Uncomfortable shoes can be very distracting, so I never compromise on this. I also look for leather uppers and linings. Leather contributes to comfort, gives a quality aesthetic, and can be more durable than synthetic materials or textiles if well cared-for. Oh and I'm very picky about style. I never buy black shoes, and if a pair doesn't make me smile, it's not for me. I rarely wear heels, so my shoe wardrobe is full of stylish flats in interesting colours and leather textures. 3. What shoes do you recommend wearing in the rain? Wellies if you can get away with them. If you need to look smarter, ankle boots are wardrobe essentials for most of the year in the UK. 4. Are there any independent shoe brands you recommend for people with problem feet such as wide feet, having to wear orthotics etc? Calla are a lovely independent brand, who make elegant shoes for women with bunions. Sargasso & Grey make ladylike styles for those of us with wider feet. Both of these UK-based brands are run by amazing female entrepreneurs. Susannah is based in Bromley, and works with lots of independent shoe brands, helping get them off the ground or build their business. She is also a sought-after guest speaker too, speaking on topics like "How to find comfortable, beautiful shoes".